Happy Nurse’s Week + Maevn Giveaway! Hello there readers and fellow bloggers! It’s almost that time of year again! The week where we honour those working in the nursing field. Whether you’re a RN, RPN, LPN, PSW, or HCA this week is all about you and celebrating the career choice you have made! Celebrating nurses is so important because honestly we don’t get enough credit. I don’t mean to sound harsh or anything but a lot of the time nurses are forgotten. Typically, doctors get all the credit. What many patients and families forget or fail to see are the front line workers. The nurses and psws who spend countless hours caring and providing comfort for those in their darkest moments. When a patient rings their call bell, it’s not the doctor answering, it’s the nurse. When a patient wants a drink of water but is bedridden, it’s not the doctor going down the hall to the water fountain, it’s the nurse. When a patient is scared or crying, it’s not the doctor holding their hand and soothing them, it’s the nurse. I’m very passionate about my career choice and I think we need to do more as a society to recognize the impact that nurses and psws have. Don’t get me wrong, doctors do wonderful work and do deserve so much credit but many times the nurses get overlooked or even looked down upon. “What, you weren’t smart enough to become a doctor?” I’ve heard this more times than I can count and my response is always the same… “Actually, I’m sure if I wanted to I could have been a doctor but I actually enjoy the 1:1 I get with my patients as a nurse. I’m able to get to know them and bond with them in a way that a doctor never could. I’m happy with my career choice and if I could do it over again, I’d still choose nursing.” None of us enter this career for ‘the money’ like many believe we do. We all enter this career because we have a calling; a need to help and heal. It takes a very special type of person to choice this as a career path and trust me, if you don’t this type of personality, you will not succeed. Nurses and psws are some of the kindest people I’ve ever met. So in honour of Nurse’s Week I’m SOOO excited to announce that I am doing my FIRST EVER giveaway contest! I’ve partnered up with Maevn Scrubs to give one lucky reader a chance to win a top and bottom of their choice from Maevn’s new EON collection! You may remember a few weeks back I did a review on this collection and it’s safe to say my opinion has not changed at all. These are definitely my ‘go to’ scrubs when I’m working. They’re so comfortable and fit perfectly. I own many tops and bottoms and I can assure you, that what I own does not even come close to Maevn’s. 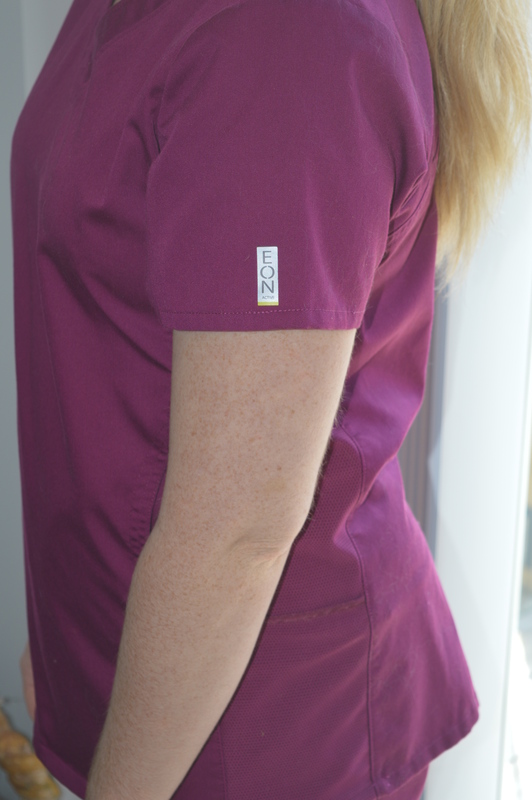 From the fabric to the numerous pockets to the fit; everything about these scrubs are perfect. And I’m sure you’ll love them just as much as I do! This giveaway is open to Canada and US only. To enter first comment below telling me a bit about your chosen nursing profession then follow me on Instagram and head on over for a bonus entry! Winner will be chosen at random at the end of Nurse’s Week! Thanks for reading and good luck!! Previous Post Nate at 18 Months! I am a Neonatal RN for the last 23 years. Babies make for the sweetest patients, though we certainly have our hardships it is mostly happy medicine. I’m sure you most definitely have hardships in neonatal nursing but glad to hear that it’s mostly happy medicine!! Thanks for reading and entering! I work on rehab where a lot of the patients are amputees. We teach them how to walk again. This is an amazing thing to see. Some thought they would never walk again. And the joy you see in them when they get up for the first time is why we do what we do. I’m a VA RN that works in a rehab, respite, hospice unit. It’s a very active unit and I definitely keep busy! Wow! Definitely sounds like a busy unit to be on for sure! Thanks for reading and good luck!! Wow! That sounds like an amazing unit to be on! Seeing someone benefit from another person in such a personal level. That’s amazing!! Thanks for reading and entering my contest! 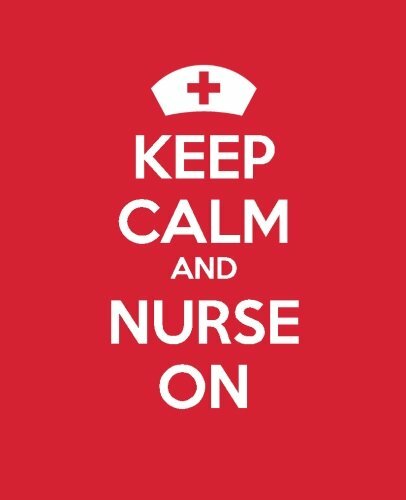 Good luck and happy nurses week to you too!! Just because you don’t do them yet, doesn’t mean you won’t ever! I’m sure you’ll make a fabulous RN some day! Good luck as a “Baby Nurse”. It’ll be hard in the beginning and there will be days you will doubt yourself but don’t ever give up! Nursing is such an amazing profession and one day you’ll be telling a new grad all about your amazing stories! 🙂 Thanks for reading and entering!! Good luck! lmaoooo! Yes, there are definitely days when I think that’s all we’re good for 😉 Good luck! !